I have an out of hours emergency, what should I do? 'Adiuvo’, a specialist out of hours response service for the property sector, provides cover outside of our normal office hours (between 8.00 am and 7.00 pm Monday to Friday) and weekends. Should anyone detect an urgent maintenance issue relating to the communal services (something which affects more than one property), please contact them on the following number: 01905 672690. Service Charge - What are they for and am I getting value for money? •	Gardening and grounds Maintenance. •	Heating, lighting, and cleaning of communal areas. communal TV aerials, fire safety equipment. •	Sinking funds for major works and decoration. The service charge is calculated in accordance with your Legal Agreement terms and ensures that every property owner pays a fair share of the costs of providing services in your block. If payments are not made in a timely manner services to your development may suffer. Contractors may refuse to fulfill contracts due continued delayed payment of their invoices, communal utility supplies may be cut off due to non-payment of demands and insurance may lapse due to non-payment of premiums. Ultimately this could have a negative effect on the value of your home should you be wanting to sell your property. Mainstay ensures a fair but robust arrears process is followed. If payment is not received within 7 days of the payment request we will issue an arrears letter. If payment has still not been received after a further 7 days we will issue a second arrears letter. If we have to issue this second letter to you we will also apply an administration fee to your account. Should we still not hear from you or receive payment we have no option but to issue a third arrears letter – with an additional an administration fee charged to your account. If, following this letter, payment is still not received your account will be referred for legal action to be taken. This will result in additional charges being made to your account and possible court action being taken against you should you still not make payment. How do Mainstay ensure repairs are carried out by specialists? 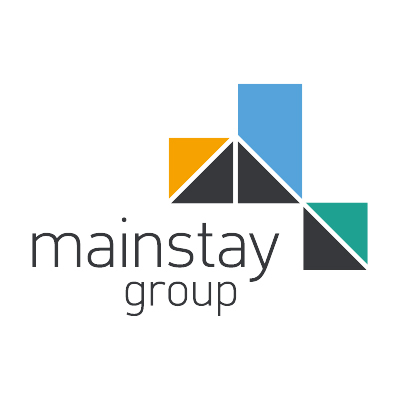 Mainstay ensures, through accreditation systems such as CHAS and Safecontractor, that we only work with the most professional contractors to undertake work on our buildings. We work with an Insurance Broker who places the Buildings Insurance with the most competitive insurer and a lift consultant called ILECS, who places our lift contracts with providers who supply the most comprehensive service, at the best price. These are just two examples of where we are able to use our company’s size to ensure economies of scale to achieve the best available prices, which would not be possible otherwise. How should I report a maintenance issue? Your Mainstay team work hard to maintain a good standard on the development but, as it is sometimes unmanned, your support in reporting any issues can help us ensure all work is recorded and started. Issues can be logged via the Residents Portal, email to your site email address or by phone to our Worcester Office on 01905 357777. How can I order a new Fob? We have invested massively in re-engineering our Fobs ordering process following extensive research with our customers, which has received extremely positive feedback since its launch. All fobs can be ordered and processed via the Residents Portal – even Letting Agents/Landlords can order fobs directly by completing an agent registration form before ordering. The step by step process is simple, quick and easy to complete. Please ensure that a delivery name is provided as only the recipient detailed can sign for fobs when they arrive. All fobs are posted special delivery (guaranteed next day delivery) so that we can track orders if necessary. I want to buy a pet? If you would like to keep a pet in your apartment, such as dogs, cats, birds or reptiles, please contact your support team via your site email address ([sitename]@mainstaygroup.co.uk) or on 01905 357777 for a Pet Consent form.